These five concepts never made it past the auto show display stands, forgotten by the very automakers who designed and built them. 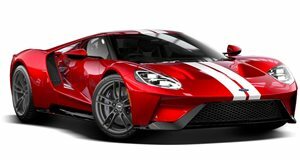 There are countless cases of automakers designing and building concept cars simply just to show what its design department is capable of. While that&apos;s all well and good, the car-loving public is too often left with unrealistic prospects of seeing that concept making production. That&apos;s a shame, but automakers have to make a business case before it can put any new model into production. While the following concepts may not have made the financial cut, they&apos;re still some fantastic design studies. 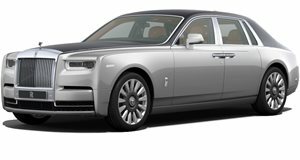 There&apos;s all this talk lately about how Lincoln needs to reinvent itself in order to survive in an increasingly competitive luxury car market. Trying to take on cross-town rival Cadillac is a noble endeavor, but to get there Ford&apos;s premium brand should seal the deal by reconsidering the 2002 Continental Concept. Powered by a 6.0-liter V12 with 414 horsepower, it was based off the old Town Car&apos;s rear-wheel-drive platform. Despite its decades-oldunderpinnings, this concept harks back to an era that Lincoln seems to have forgotten. The Continental show car even had rear suicide doors like the Rolls-Royce Phantom, which has got to account for something. Going even further back in time, the 1995 Chrysler Atlantic was designed when the automaker was still owned by Mercedes-Benz. So it should come as no surprise that, as a part of the then newly formed DaimlerChrysler&apos;s European roots, one of its first concepts evoked the spirit the classic Bugatti Atlantic from the 1930s. Not only did this Chrysler concept take the Bugatti&apos;s name, but it had a striking styling resemblance as well, to say the least. Described as a modern interpretation of the original Atlantic, the concept packed an inline-eight producing 360 horsepower. This new Atlantic was well received, but was only used for marketing purposes. Jeep is the definitive American automaker for off-roading, so it would make total sense for it to produce something designed and engineered solely for that purpose without a shred of luxury conveniences. The Hurricane Concept from 2005 was just such a pure off-roader. With a ground clearance of 14.3 inches, 20-inch wheels enclosed in 37-inch tires, the Hurricane could actually climb at a steep angle of 64 degrees. Powered by two 335hp 5.7-liter Hemi V8s, each of its four wheels could turn independently of one another, meaning it can turn in place and spin with a turning radius of zero feet. 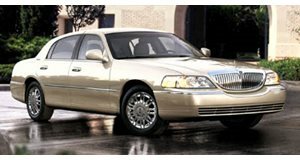 Judging by the 2001 Blackhawk Concept, it&apos;s clear that Buick was interested in shedding its "old man&apos;s car" image before its latest and more exciting models arrived. Designed to relive the brand&apos;s glory days, the Blackhawk combined classic styling elements with more contemporary proportions. Power came from a 1970s Buick GS V8 with 463 hp. Described as "the ultimate Buick custom car", many of its major components were hand-made, such as its frame and the carbon-fiber retractable top. As beautiful and tempting as it may have been (and still is), the chances of it ever making production fall somewhere between zero and never. We can take comfort in the fact that Ford did at least put into production its GT supercar, but the 1996 Indigo concept would have been nice to see as well. This high-performance V12 concept was clearly inspired by Indy race cars with its radical roadster body-style. Its carbon-fiber and aluminum monocoque chassis came straight from the speedway, as did its aerodynamics, which were shaped by intense wind-tunnel testing. Power came from a V12 engine to clock a 0-60 time of just 3.9 seconds, making the Indigo concept ahead of its time in terms of performance capabilities when even the most advanced supercars were still boasting acceleration in the fours. Classy yet ambiguous, kind of like those strange humming noises Matthew McConaughey makes to warm up for an act. 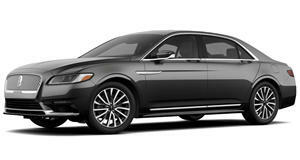 Lincoln has finally brought back the Continental name, and it should be a success.